Travel between countries and cities has become effortlessly easy and with the growth in travel so have the other complementary services growth too. One of the key elements to make any travel abroad complete is the accommodation in the respective country. There has however been a large shift from the traditional hotels to the modern day traveler seeking convenience at his/ her privacy. Apartment Hotels have become a very popular choice among travelers. A popular name with this regard is Citadines Apart’hotel. Located in over 30 cities across Asia Pacific and Europe its highly accredited for its service excellence and comfortable atmosphere. The flexible service menus allow room for a great degree of customization. Its all incorporated to give one the privacy of an apartment but the convenience of a hotel too. Engaged in constant expansion there are a number of new expansions coming up in the near future. One of the newer properties that’s set to open it’s doors is the Citadines OMR Gateway Chennai located on the old Mahabalipuram Road. The area is an IT hub with it already being home to around ten IT parks and a further twenty IT parks coming up. Due to be completed in 2015 there is also a shopping center in the close proximity to the property. Another property that is awaiting opening is Citadines Millennium Ortigas Manila, located in one of the prime corporate areas, the location of this property is ideal for the business traveler. Allowing them to choose from studios, one to two bedroom apartments. Another two properties of Citadine are due for completion in the coming years and are set to come up in Ahmadabad and Hyderabad India. The rise in demand for such accommodation has been closely linked to the home like atmosphere these apartment hotels offer. Chandrishan Williams is a travel writer who writes under the pen name, Caleb Falcon. He specializes in writing content based on the many exciting world adventures that await intrepid travelers. Mixing business with pleasure may sound cliché, but it really is a good idea and is so easy to do when in a tropical paradise such as Sri Lanka! The West Coast is particularly popular since it offers the perfect balance of beach and business, amidst a laidback setting in which to enjoy everything from high-powered client meetings to corporate retreats. Negombo is a much sought after destination in this regard and this idyllic town on the Western coastline has plenty of hotels and resorts that come with their own event and function spaces. If you are on the lookout for such Negombo meeting venues, then Club Hotel Dolphin is an option worth considering since it lets you enjoy the best of both worlds. Still not convinced of why you should choose Negombo as your next destination to host a business event? Well consider this; the country’s main airport, the Bandaranaike International Airport is only about 15 to 30 minutes away (depending on venue), meaning you can quickly and easily be transported to the hotel or resort where your business meeting or conference will be held. The commercial capital, Colombo can be reached within 45 minutes or so and the drive to the city has been made considerably easier with the opening of the Katunayake Expressway as well. Venues at these Negombo resorts generally cater to both small and large scale events so you can make use of versatile space be it for organizing a private boardroom meeting, conference, cocktail party or even large functions for a corporate retreat. In-house meeting and event planners are generally on hand and will also help you organize everything from accommodation for delegates to catering. Check with your venue on the available meeting facilities as well such as audiovisual equipment and internet access (wireless internet is common place in Sri Lanka including at many resorts and hotels in Negombo). Of course all work and no play is said to make Jack, Jill and whoever is buried in meetings the whole day a dull person, so make sure to enjoy all that Negombo has to offer and have plenty of fun in the sun, sand and surf too! The Bason Botanic Gardens in Wanganui has been recognized as a ‘Garden of Significance’ by New Zealand’s Garden Trust and once you visit this place you will understand exactly what that means. There are six different themed areas in the garden including a much sought after collection of orchids. Historically the place was built in the late 60’s. The gardens were formerly owned by the Bason brothers, Stanley and Blanche. It was originally a farm that was transformed into public gardens by the city council. What is spectacular about the site is the architecture within the area. The materials from two demolished picture theatres in Wanganui were used to build most of the structures. The gardens have been separated according to the different types of flora in the area. 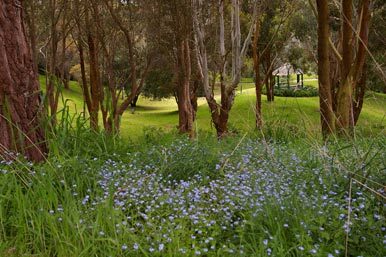 Within the 25 hectares of land there are blocked out divisions namely the Dress Circle, Conifer Arboretum, Native Bush and Wetlands, Millennium Hill, Lakeside Flats and the Woodlands. The landscaped area is like a picture postcard, it looks unreal simply because it is so beautifully maintained and managed by the City Council. This would be the best place for visitors looking to capture a stunning picture. There are daffodils, magnolias, camellias, roses and Norfolk Island pines in abundance. You will also find a wonderful variety of tropical plants and trees. Naturally the best time to visit the gardens is during spring, but even during the other seasons the view is spectacular since it is located in a somewhat frost-free environment. The lakeside area definitely provides one of the best views of New Zealand nature. The birds, animals and the flowers make you feel like you are in the middle of the Garden of Eden surrounded by the wonders of nature. New Zealand is popular for the beautiful countryside and the relaxing atmosphere. So if you are thinking of travelling to this part of the world you should look for New Zealand hotels that are comfortable and offer great service. Especially when searching for Wanganui hotels search for a location that will revitalize your spirits. Millennium & Copthorne Hotels NZ offers a range of properties across the country which helps fulfil your every need and desire and make sure you feel at ease. New Zealand, a country of incredible beauty, is one of the few remaining places on the planet that remains pristine. For the locals and many who visit, the country is nothing short of a natural paradise. Called Aotearoa (meaning ‘land of long white cloud’) by the indigenous Maoris, it is the ideal destination for nature lovers. In fact, over the years the country has a made name for itself for ecotourism and as a destination for adventure sports. Nature lovers will find plenty of things to do such as hiking and trekking, but for those who want to get really close to nature, camping is the perfect outdoor activity. In a land known for its picturesque landscapes, Queenstown stands out for its spectacular countryside and has some of the best camping sites throughout the country. From grassy parks, gentle hillsides, secluded beaches, and mist covered lakes, there is an endless array of camping options in Queenstown. Anyone with a motorhome that is completely self-contained (has a toilet, rubbish disposal and wastewater tank) is free to camp on any public land in Queenstown. Called ‘freedom camping’, this allows one to camp at nearly any accessible place. Of course town centres and residential areas are off limits, as are places with signs saying camping is not allowed. There are many places that offer motorhome rentals and renting one is the ideal choice for those who do not want to be restricted to Queenstown’s holiday parks. However, though they tend to be a little crowded, the holiday parks comes with facilities such as toilets and may even provide internet access, making them a terrific option too. Although large portions of the country remain preserved and undeveloped, New Zealand boasts excellent infrastructure. There are excellent roads connecting the country’s many cities, public transport runs like clockwork, restaurants are plentiful and accommodation easy to find. Tourists planning on exploring the country and are looking for good New Zealand hotels to stay at should consider getting accommodation with a hotel chain like the Millennium & Copthorne Hotels NZ. With a range of Queenstown, Hamilton, Wellington and Auckland hotels to choose from, one can be assured of the same high standard of service at each destination. Fondly known by a number of names such as the ‘Paradise of the Pacific’ which betrays the island’s natural and spectacular beauty, a visitor to New Zealand is unlikely to leave anything but satisfied for the island’s snow capped mountains, lush green valleys and pristine lakes leave memories to last a lifetime. For a truly amazing experience, ensure that you visit the city of Devonport, a mere ten minutes from Auckland. Devonport has been constantly described as Auckland’s ‘Crown Jewel’ and this portrayal sums up the true description of the area. Initially home to three islands housing active volcanoes by the names of Mount Cambria, Mount Victoria and North Head, at present, only the two latter volcanoes are visible. However, though one associates volcanoes with nature’s destructive forces, these twin cones merely add to the panoramic scenery of the area. For someone who wishes to escape the city, they will find a peaceful haven in Devonport with its powdery white beaches bordered by the cerulean blue ocean and the panoramic view of the twin volcanoes. When in Devonport, one will never be at a loss for things to do. If you are an avid culture vulture, the area is rich with architecturally stunning buildings and complete with its own heritage. For those seeking pristine beaches and a lovely holiday by the sea, one need not look any further than Devonport for her stunning beaches are not only beautiful and calm but are also extremely safe. Exploring Devonport is quite fun for a number of walking tours can be organised but if you wish facilities are made available for persons to rent a bike and explore the village by cycling. Once you have explored to your heart’s content, one can opt to relax at a café or restaurant for a meal or even coffee. The village is also well known for their amazingly rich chocolate and is worth a visit just to try them. It is therefore no surprise that this rustic seaside village is one of the most visited locations by those residing in an Auckland hotel. In keeping with the theme of the area, opt to stay in Auckland hotel suites which are guaranteed to provide you with an experience you will never forget. Treat yourself to the luxuries of the city by staying at The Langham Auckland and be mere minutes away from the Auckland Museum, Town Hall, Sky Tower and of course, amazing shopping expeditions. Walter Peak High Country Farm – A Memorable Day in the Country! Voyage across Lake Wakatipu on a classic steamship and land at the Walter Peak High Country Farm and be welcomed back in time. Make sure from this point onwards you let yourself transform into a persona that has never stepped into the millennium of fast paced technology! A laid back, sleepy, high country farm, this place welcome and gives the guest a truly special native feel and experience. After enjoying a warm and heartfelt ‘kiwi’ welcome, one can indulge in a walking tour of this expansive farm and feed the sheep and chicken and also get within patting distance of the deer and highland cattle found herein. After spending some time here, you can glimpse the sheepdogs in action as they heard the sheep. There is also on offer a practical shearing display and those who are interested are given the chance to try their hand at wool spinning! The Colonel’s Homestead gardens is also an ideal place to visit as it can serve to rejuvenate and relax your tired feet by offering a beautiful backdrop to enjoy a kiwi country style tea so that you can rest before you set off on your exploration again! Walter Peak Heritage Excursions includes taking in artefacts of Queenstown’s unique heritage and a cruise across the breathtakingly beautiful Lake Wakatipu. 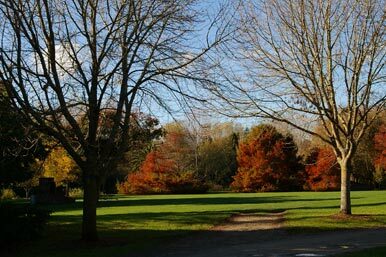 You can view historic memorabilia and photographs before you set off to wander and stroll along the exquisitely laid out lakeside gardens. You can also combine a lakeside cruise and a farm visit with a guide, ending with a barbecue lunch. The Colonel’s Homestead is there just for this purpose and visitors can unwind and relax by the lake and take in the succulent aromas rising from the barbecue. Queenstown hotel accommodation deals differ to ensure that they cater to all needs and that one may have in terms of facilities and services. Those in search of a New Zealand Queenstown hotel that provides you the convenience of spectacular spaces to unwind and relax can stay at Copthorne Hotel & Apartments Queenstown Lakeview. Within easy reach of the town centre, this well placed hotel offers modern amenities, excellent service and warm and genuine hospitality. Adventure activities, entertainment, restaurants, cafes and ample shopping are all just minutes away from this property. Rich in natural scenery, Queenstown provides visitors with truly unforgettable outdoor adventures. The best way to explore the city and the surrounding countryside is by staying at a centrally located Queenstown hotel such as Millennium Hotel Queenstown. This luxury hotel Queenstown makes an ideal base from which to set off on outdoor excursions. One such area worth visiting is the Mt Crichton Scenic Reserve which is only around 10kms from Queenstown. Ideal for those who love a good hike amidst spectacular natural scenery, this loop track takes you on a memorable journey through manuka stands and a variety of beech trees including mountain and red beech. The entire loop track takes around 2 to 4 hours to complete and is an ideal outing for those looking to experience New Zealand’s rich natural bounty. New Zealand is one of the most beautiful countries in the world, with lush green sceneries and a fresh environment making it a pleasant place to be for any visitor. Yet these never ending pastures gleaming in green ideal for relaxation are not the only features that draw visitors to New Zealand; the country also has an interesting culture, which it prides itself on. This culture dates back to historic times, but has been kept alive through careful preservation. The Maori people or those indigenous to this land have contributed to making the culture what it is, as many of their traditions are ingrained in the local way of life. One of the greatest cultural experiences that visitors will have when in New Zealand is a visit to the Tamaki Maori Village, a highly acclaimed site among tourists. In the area of the Rotorua Forest, visitors will find this attraction, where they can experience what takes place in an authentic Maori Village. It is an interactive experience, where visitors will not only see how the tribes live, but also get to partake in the activities and live like the indigenous people themselves. In addition to being entertaining there is a lot to learn from the experience as well, and it is enjoyed by all who partake in it. The experience at the Tamaki Maori village begins with a traditional welcome, where traditionally dressed characters perform fierce war cries until it is shown that visitors come in peace. Watch various performances thereafter that will amaze spectators. Explore the village and observe the people at work, performing tasks that were once considered very important. The authentic experience is made even more exciting when a traditional Maori meal is served up, and is shared by the tribes and the visitors. Find out how the delicious meal was made over the open fire outdoors and much more. It is the ideal place to head to when interested in the beautiful culture of New Zealand, unique to any other culture in the world. It is a very authentic way to experience the country. When selecting hotels in Bay of Islands to stay in during a vacation to this beautiful country, visitors will enjoy the properties of Millennium & Copthorne Hotels NZ. These stylish and comfortable New Zealand hotels are fully equipped with modern comforts, and provide welcoming service to all.